Polish version is in other post-CLICK. Polska wersja tu-KLIK. 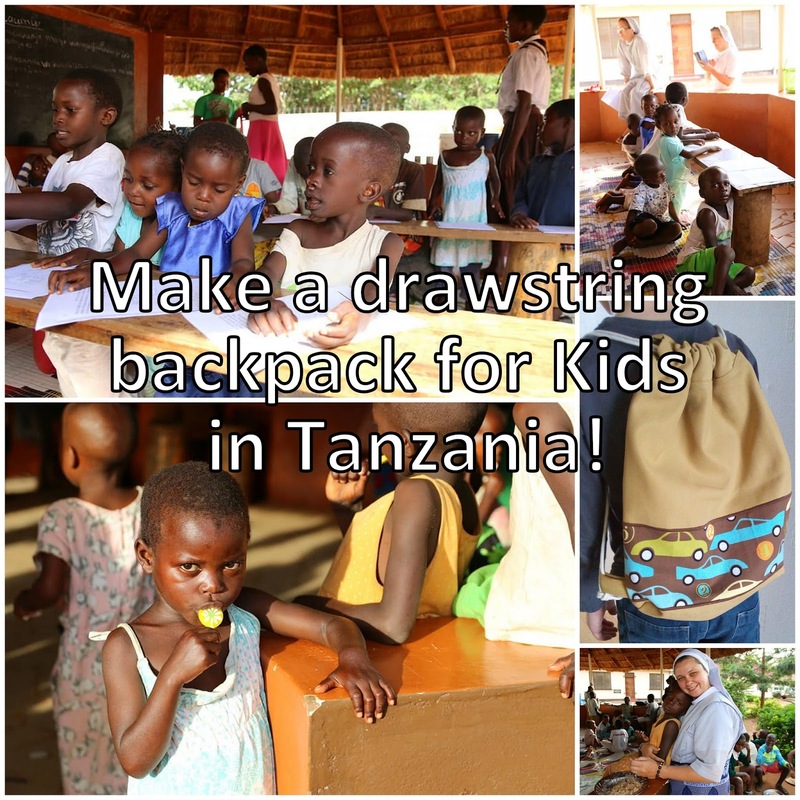 It's time to summ up my charity project: Make a drawstring backpack for children in Africa. It was a huge success and we will have 1000 backpacks when all parcels will arrive to destination countries (we have 737 delivered now). I can't believe it will be ONE THOUSAND‼️ My first target was to make 70. Many wonderful people were involved. We made backpacks for Tanzania, Cameroon, Kenya, Zambia, Brasil and Nepal. It was a great project for 2018 and now I can announce it's closed but with wonderful success! Thanks to all involved! It's all because they wanted to participate! 1. 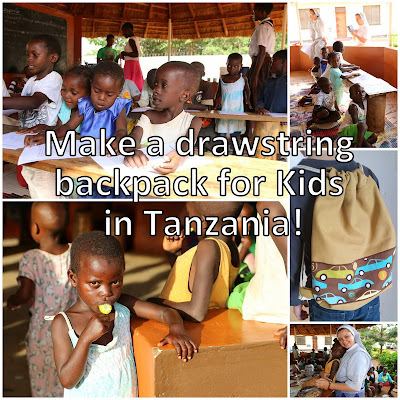 What is the purpose of the project "Make a drawstring backpack for Kids in Tanzania"? Our main purpose is to equip children, that are cared by missionaries Sisters of the Saint Elizabeth in Tanzania, with backpacks. It's quite normal for us, to have more than one bag/backpack, but these children usually possess only one often very worn bag. We want to change that! 1a.Can I help even if I don't know how to sew? Yes you can! Please help us by spreading the news about that project and if you want you can send some small goods - the list is under 4th point. 2. How many drawstring bags do we need? Currently, 70 children come for their meals. Our goal is to make ONE (1) drawstring backpack by everyone joining our project,sz and sending it to Tanzania. 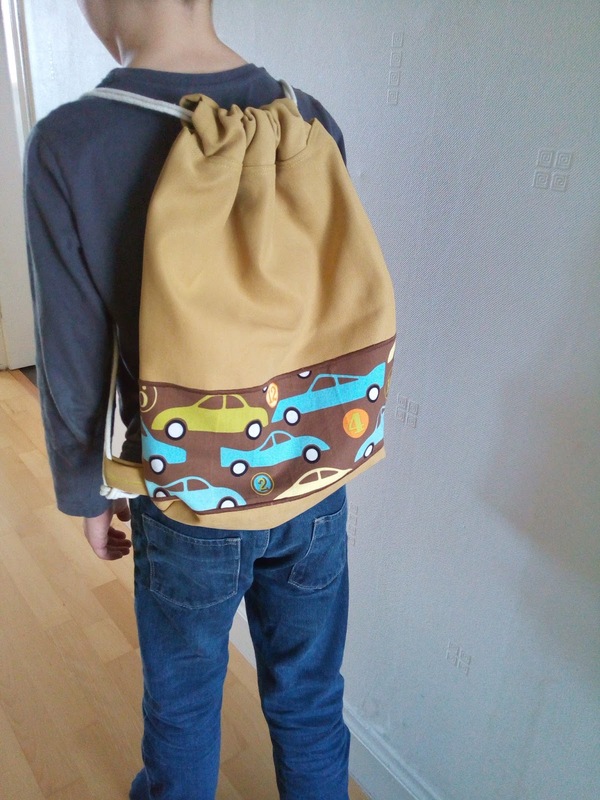 If you want to make more backpacks you are very welcome but there are some posting restrictions so it is up to you. You can find everything about posting in point 5. I'm also asking for some small items for these kids so you could consider it in you posting decisions. I'm the organizer (completely voluntary). 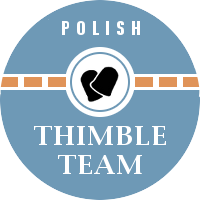 My name is Urszula Platek and I'm running this blog since 2010. I'm not a stranger to various help actions for missions like collecting old glasses or post stamps for Africa. My friend Wioletta Pitura is a Sister of the Saint Elisabeth Congregation and she is the reason for starting this project. I known her for nearly 20 years. In February 2018 she started working in Maganzo in Tanzania. When I heard she is going to work in Africa I knew that I will do something to support her and people she will be working with! There is a link to Sisters of the Saint Elisabeth site about their work in Tanzania (in Polish) - CLIK. 3. Will it be permanent project? No, it is an one off project. I think that it will run to the end of year 2018. I will keep you all updated about it here. 4. What is the additional support that we can send? Buying and sending on these additional goods is only an option. Even one pack of briefs or one toothbrush will be very nice (but you have to consider restrictions mention in the next point. 5. How the backpacks are going to be send and where? Something that I have learnt about Tanzania's post service and you might not be aware of. Every packet must be below 1 kilogram otherwise the recipient will have to pay a fee in order to collect it. That's why I'm asking you to make only ONE drawstring backapack and optionally if possible add some small item to it. It cannot be a parcel, it has to be a letter in an envelope. I will pass on to you the address and we will make arrangements about sending and marking our letters to check when they will arrive at their destination. 6. How to make a drawstring backpack? There are a lot of tutorials but I chose few. I read many tutorials just to get the idea how to sew it easier. The simplest backpack will be without the lining when you use thicker fabric. With thinner fabrics, the lining can be very useful. Fabrics: I chose some thicker fabrics, like denim or upholstery fabrics. It's plain coloured so I will be adding a wide stripe of fabric with children's motifs to jazz it up. I think quilting fabric is too thin for backpack purposes. Pull string: the best will be cotton string/cord. Mine is 8mm thick but I read that 1 cm diameter should be better. It's because we don't want the children to get abrasions on their skin from it. Diameters: for older kids around 10-18 years it will be about 40 centimetres high and 36-38 cm wide, for younger 35x35cm. I made my prototype drawstring backpack with added drawstring casing. I think the best length for string/cord is 2 times 1,60 centimetres. I hope that project is transparent in all ways. I ask you to keep the rules about sending letters (envelope and max to 1 kg). Sending to Africa always means it can be lost somewhere on it's way. I'm not responsible for that. Sisters are not going to confirm letter's delivery (at least not up to date). That project isn't connected with the religion but with children that are cared by the Sisters of the St Elisabeth. I hope I will be able to say thank you to everyone who will participate!